With a grade 1 ankle sprain, you can begin gentle therapeutic exercise even while there is some swelling and pain (in standing/walking) that remain. These exercises are designed to be very gentle – and it should be noted that they should be pain-free at all times. All of them are non-weight bearing and designed to reduce swelling, regain motion, and begin re-training proprioception. 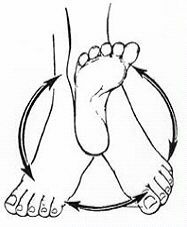 Ankle circles: With the leg supported (or elevated if there is still some swelling), make circles with foot at the ankle. The goal is to make the largest circles possible, but it is essential that you stay within a pain-free range. As the ankle continues to heal, you can make the circles larger and larger. Do 15-20 times both clockwise and counter-clockwise. This can be repeated 2-3 times a day. 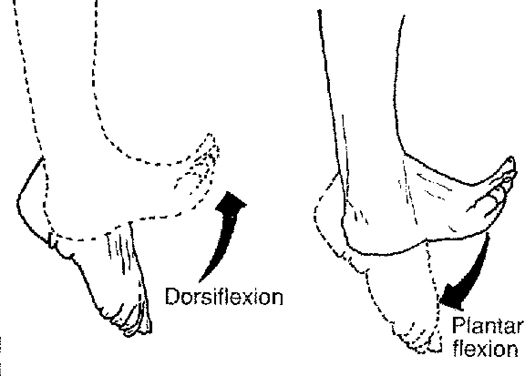 Ankle plantar flexion/dorsiflexion: this is simply pointing and flexing the foot in a pain-free range. With the leg supported (or elevated if there is still some swelling), focus on moving the foot without it twisting in or out. The goal is smooth and controlled motion. Do 15-20 times, 2-3 times a day. Again, keep the motion in a pain-free range and progress when able. 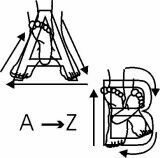 Ankle alphabets: With the leg supported (or elevated if there is still some swelling), write the alphabet with the foot by moving at the ankle. Be sure to keep the leg still and move slowly and in a pain-free range. Start with 1-2 times through, from A to Z, and do this 2-3 times a day. Once you no longer have pain in the ankle with walking and the swelling is beginning to subside, you can progress to some more advanced exercises. The goal of this phase of rehab is to continue to restore motion, strengthen the affected muscles, and begin re-training proprioception (in closed chain – aka in weight bearing). Single Leg Stand (SLS):This exercise is designed to retrain balance and proprioception. Be sure to start with the hands on or near a cabinet for protection in case you lose your balance. Try and balance on the foot for 30-45 seconds without using your hands/stepping down. Do this 2-3 times, once a day. Keep the heel flat (do not rise onto the toe). Gastroc & Soleus Stretches: (calf stretching): In an ankle sprain, especially if there was some immobilization, the calf muscles will likely tighten. It is essential to stretch them out to allow the right amount of dorsiflexion on a landing (so that the anterior ankle structure are not over-stressed and re-injured). There are two main muscles that attach into the achilles, the gastroc (short for gastrocnemius) and the soleus. 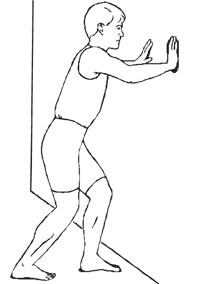 The gastroc stretch is the traditional calf stretch. Start with the affected leg behind you, toes forward, heel flat. 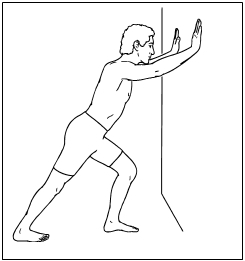 Then lean forward until a stretch is felt in the upper portion of the calf. Hold for 30 seconds. Do 4 repetitions, 1-2 times a day. The soleus stretch is similar to the traditional calf stretch, but the back leg is bent. This focuses the stretch on the soleus muscle (which lies deep to the gastroc). This will likely be felt lower down in the leg (more along the achilles tendon). Hold for 30 seconds. Do 4 repetitions, 1-2 times a day. Once these exercises become easy and your form is consistent (no loss of balance, no pain, and no “shaking” with movement), you can consider progressing to the next block of exercises. In most cases, it will take about 1-3 weeks to progress through these exercises. Be sure to take your time and don’t rush – if the ankle is not appropriately retrained, there is a VERY high risk of re-injury. Remember, a grade 2 sprain is more severe, and should be checked out by a medical professional prior to the initiation of any self-rehabilitation. That said, once the ankle has healed > 4 weeks, (ligamentous injury takes 4-6 weeks), you can try the grade 1 exercises and progress through as if it were a grade 1 injury. It is even more important to rehab the grade 2 ankle sprain carefully and fully as there was more ligamentous and nerve injury than in a grade 1 sprain. 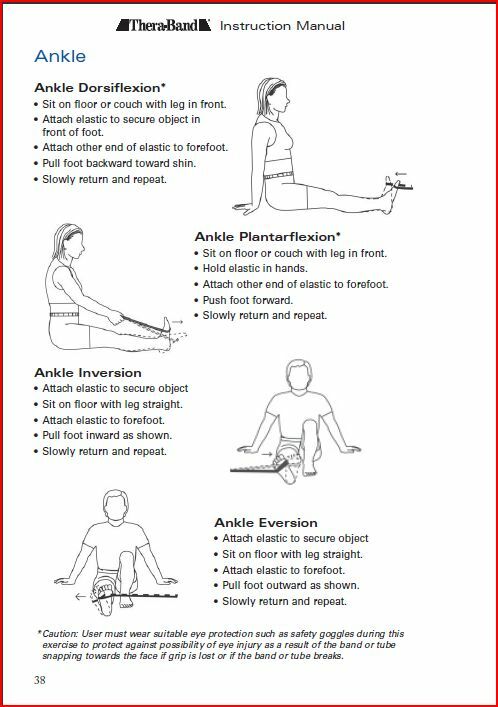 This entry was posted in Ankle Sprains, Ankle/Foot, Therapeutic Exercises on October 12, 2012 by Angie.